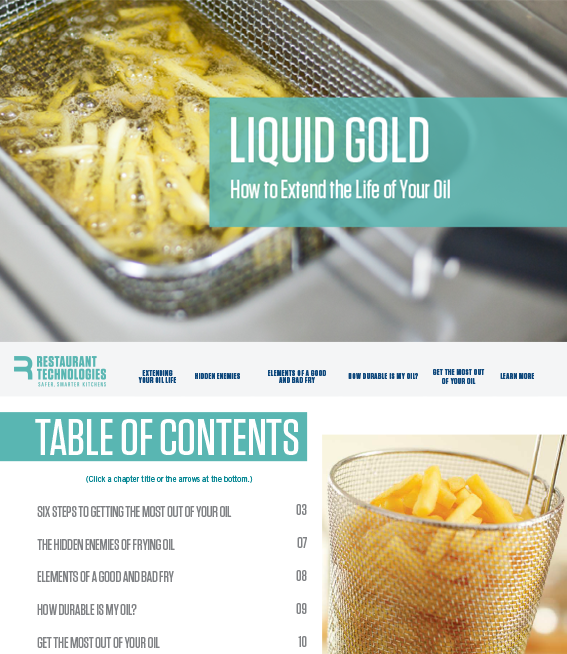 This free downloadable eBook outlines the hidden enemies of oil, how to test the durability of your cooking oil and the steps necessary to extending the life of your cooking oil. Saving you money and providing you with industry leading insight tips, tricks, and best practices. Fryer oil plays a very important role in your kitchen. From deliciously battered fish to perfectly fried chicken, the life and quality of your fryer oil can often mean the difference between great-tasting food and a soggy mess. 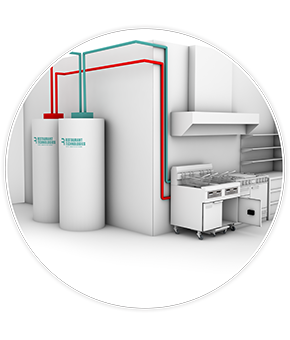 Well-managed, properly filtered oil, used in conjunction with regularly maintained equipment, helps reduce kitchen costs and waste while increasing operational efficiencies and productivity. A trained staff and quality equipment put you at an advantage when it comes to frying the foods your customers love. 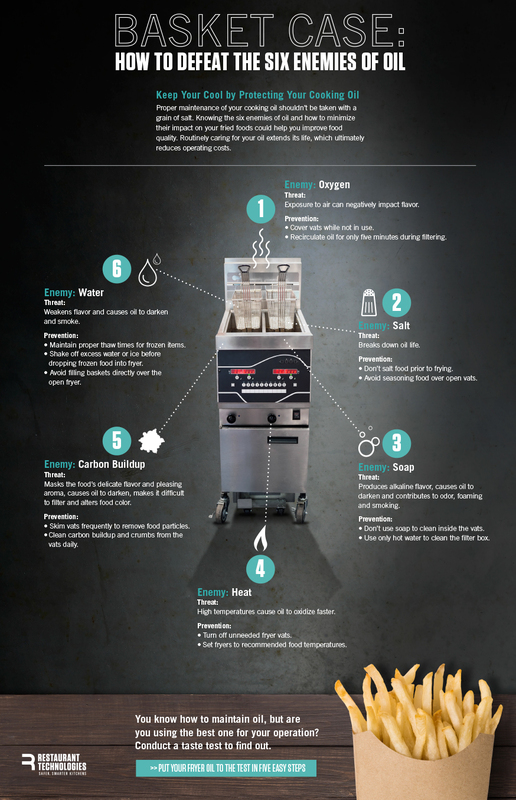 Follow these steps to extend the life of your fryer oil and achieve optimal frying results. Get back to what matters: delivering the food and dining experience your customers crave. Stop wasting time managing cooking oil manually - it's difficult, time-consuming and dangerous. Leave it to the professionals: Restaurant Technologies. We handle the entire process - from ordering to receipt and storage to handling and recycling of used oil. It's automatic, easy, intuitive and ready when you need it. Cooking oil may be the secret ingredient no one is talking about when it comes to fried food. It can mean the difference between a one-time visitor and a regular customer. You certainly want good taste, texture and appearance, but there are also other considerations for choosing oil. Is your cooking oil making the grade? You can use the best ingredients in the world, but if your cooking oil isn't up to par, your efforts might not reach their full potential. Download the Oil Testing Guide to test, grade and determine which cooking oil will best complement your cuisine and your operation. Are you getting golden results from your cooking oil? Cooking oil has the power to change the taste, texture and appearance of the food you fry. You might think you're serving the perfect French Fry, but a change in how you manage your cooking oil could raise your fried foods to the next level — and ultimately lead to more satisfied customers coming back for their favorite dishes. Restaurant Technologies implemented a comprehensive oil management plan for White Castle, thus eliminating the unsafe handling and filtering of hot cooking oil and streamlining the oil management process. Safety and efficiency are the greatest values that have been added to my restaurant, and the Restaurant Technologies staff has been extremely professional and their service is amazing. I’m definitely a happy customer.